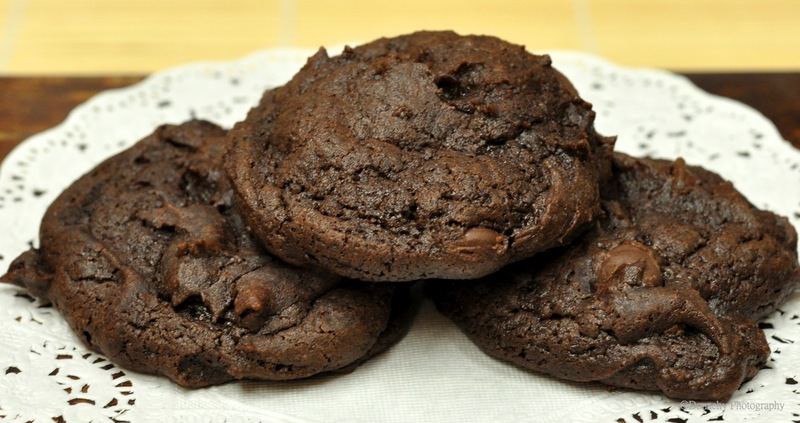 These dark, rich, chocolatey cookies disappeared within 24 hours of their creation. For this season in the Alaska bush, we ordered most of our spices and seasonings from Penzeys Spices. Whether we’re using their smoked chipotle chili peppers in a squash soup, the Italian seasoning blend we make from a combination of their herbs and spices, or a cup of hot cocoa, the quality of Penzeys’ products has been notable. In these cookies, its Penzeys’ Dutch-processed cocoa that takes them to a higher level. By the way, yogurt is easy and economical to make in your own kitchen! Measure flour and baking soda into a medium bowl. Set aside. Melt butter in a large pan over medium heat. Remove from heat. Stir in cocoa and sugars. Add yogurt and vanilla. Mix well. Add flour just until combined. Drop by tablespoon onto parchment-covered baking sheet, about 2 inches apart. Bake for 8 – 10 minutes. Cool on pan for a few minutes until firm. Finish cooling on wire racks. Yum! Yum! You folks cook good food! These look fabulous! I love dutch cocoa! I have often thought about ordering from Penzeys’. I’ve heard good things about them. Thanks for reading, Leah. We were first introduced to Penzeys about five years ago and have steadily come to use more and more of their products. Everything is of high quality – enough so that we notice the difference in our cooking and baking.